As many of you know, we are a beautiful mountain community that was devastated by the flood of 2013. Although we have had a tremendous effort by so many people to rebuild this wonderful community, there is still so much to do. NOW IS YOUR CHANCE to not only help with the rebuild but to place a permanent memorial for your family, other relatives, pets or loved ones. 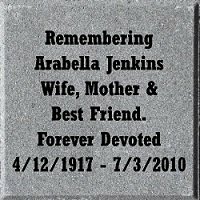 Current, past or even future members, please help by purchasing a memorial brick, engraved with your name to be placed at the new office that we are building with this fund-raising effort. The proceeds from this project will help to build our much-needed new office and give our fire department back the space and separation they very much need. The new office will be a nice, welcoming point of contact for us all. The bricks purchased will be used to make a walking path up to the office. BUSINESS bricks available as well, many of you have business's or know business's that may also want to help. 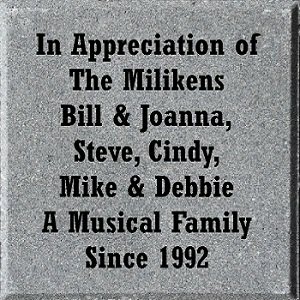 We will be offering a special business brick and lots of appreciation for those people too! These bricks will have a separate and special location, separated from our member bricks. Please, dig deep for the community and be forever remembered for your generosity. Let's make this magical place we all love better than ever.